What’s the future of smartphones in 10 years? That’s a interesting topic, if we talk about what possibly can be the face and features of smartphones after 10 years, it would have some phenomenal features that one could ever dream of. Some of the features in the smartphones after 10 years may include. Today we are seeing mobile phones with rigid displays and with bezel. It was minus to some extent in comparison to the smartphones in the past. 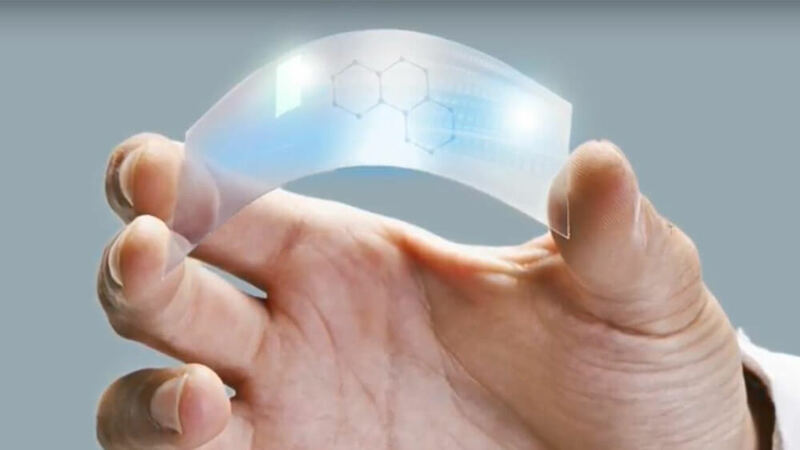 But in the future, it can be estimated that customers would experience a totally flexible display. The motive of the flexible screen is that even the big tablet size-screen can be folded and become portable like the smartphones. If we believe the rumors, Samsung is working on the flexibility of such phones where the display and even the battery and processor will be flexible. You must have experience using Siri and other Google assistant servers that follow your audio commands. These servers are not that efficient as sometimes they are not able to understand your audio commands. This may change in the upcoming artificial intelligence servers where speech recognition would be more sophisticated. You will be getting your answers, just like you are asking a human with a perfect knowledge of the same. 3D screens and holograms are the next best thing people will experience after the Apple’s retina display. The display is sharper than what a human eye can perceive. Also, some smartphones are up with the idea of 3D display and projection, but nothing limits to what it is. People will soon be getting an experience of holographic projections, which will actually be a combination of 3D display and projections of the smartphone. It would display videos, movies and all other stuff that is just beyond the imagination. The feature would make the visual display even more entertaining and people would love to buy phones with such amazing features. Smartphones with an ‘Inbuilt Projector’ would be the coolest. Don’t you think so? According to me if a phone has a projector embedded in it, it would be giving us the joy of watching movies, videos with the effect of theaters. Not only this, at a professional level, people can use it for displaying projects anywhere, anytime. Avoiding of the use of the huge projection machinery is possible with this. This would, in turn, result in an excess-engaging with the smartphones. In fact this article on innovation to look in smartphone also predict that that what the future of smartphone is going to be. AR or an augmented reality refers to whatever we see or perceive in reality in terms of vision or sound can be enhanced by the use of computer sensors generated to make you experience a totally different world. You can even point to the particular place by opening your camera and you can know about that place and fetch information about it. For example- like that of cafes or any public places that are popular. This approach would also change the mindsets of the people who think smartphones have a limited use. Such applications will soon rule the smartphone market in the coming years. There are various reasons go love ‘Modular’ designed phones. Modular designs actually mean that you can disassemble your phone into various parts and then you can reassemble them by replacing the old parts with new parts. You can upgrade your phone like this by some coolest customization which would be beneficial for your wallet too. This answer is from a Quora user, what do you think of it? By the way, if you have any good ideal of the future of smartphone in 10 years, you can write a comment or send it to me!